jollysaintj wrote: Also this is the first time where this has been an issue. In the past every single person who has left us has been amicable and followed the rules. Its just an interesting topic of discussion. While I can see why the moderators cant be our enforcers but it would be nice for there to be a way for the server to legitimize some of the clan rules. I'm interested, Jolly, do your rules apply to items gathered before the joining of THP? To go a step further with this...when I was in TGE, suddenly certain things started to come up missing. TGE is not exactly ran like THP - I am not opposed to sharing my goods with my clan, but a certain member was stealing my stuff. So....I ended up cutting my /allow to about 3 people. This makes it hard to operate in a clan. This is why I think the server should work hard to help out in support of clan laws (regarding the major stuff), because clans is one thing that VC has that I view as a precious commodity. jollysaintj wrote: while we got probably 75% of our stuff back the real damage came from the destruction of the validity of our clan rules. Where now it is public knowledge that you can join us and ignore our rules, take whatever you want as long as you do it carefully and not give it back when you leave. I believe I speak for The Order as a whole when I say that we have the utmost respect for all of THP's clan laws. I don't think anyone could tarnish the rep you guys have built in our eyes, and anyone who tried will NEVER find refuge with The Order. In our eyes, it wasn't your by-laws that became tarnished. It was the already shaky reputation of the party responsible. 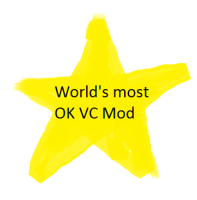 I would hope that the rest of VC would feel the same about this. Now, there is an unofficial way to do this without invoking the server staff, and it involves a type of UN, which I think VC has employed before. An unofficial pact that when a player is banished in one clan for certain offenses (stealing, griefing, etc), he is cut off from other clans. I used to use this method on the other server to financially cripple players that were out of line, by invoking trading sanctions against a player, where no one could trade with them. These were rare, but were highly effective. In this instance, even if the player were wild and free (ie not banned), all the major clans (Arc, THP, TheOrder, TGE, etc) who are willing to join said UN would cut this player off from all transactions, heavily crippling their opportunity to operate once they squandered the goods. BUT...going back, this kid had malicious intent from the start - he was slowly taking things and then got more bold with each passing day. That is why I suggested this idea - because if we don't do anything, a clan like THP (love em or hate em, THP is a great presence on VC) is not going to be able to bring new players in, and this cripples their growth. This could also happen with a clan like Arcation or TheOrder, and the same issues could happen. I wonder if it is possible to do something like "/allow MadDogT994 -chest -lockchest" (or whatever the in-game terms for those are). Perhaps Ryan or MLK can chime in with the coding possibles? no Astro, the rule applies to only things gathered while in THP, or taken from THPs chests. Previous items can stay out in the old home. So long as it, old items, are not brought to THP we don't care about them. ubiwubikanubi wrote: no Astro, the rule applies to only things gathered while in THP, or taken from THPs chests. Previous items can stay out in the old home. So long as it, old items, are not brought to THP we don't care about them. Wasn't part of joining that you had to bring all current mats with you, or was that only for Beatman? We encourage people to bring their stuff with them as good faith but we don't require nor do we go to their old place and rummage. However everything you bring stays. In all honesty people who have left in the past have not left empty handed. It's more of a motivational tool to get people to really think about joining before doing so. It's a good idea, I feel, and making a soft restriction rather than a straight up rule is good too. Though admittedly, if someone joins the clan then they should really not have any plans on leaving or being fickle about it at the time anyway. Alright, that clears the issue up a little bit for me. THP as a group have been a great influence on the server for the last few months, and I can understand why this incident must be pretty horrible for you. I stand by Viral's statement, as I have the utmost respect for THP, but as jolly said, the server staff simply cannot enforce a clan's laws unless they directly overlap with the server rules. It leads to all sorts of nonsense. The idea I would consider the most valid and least likely to cause long term problems in this conversation is Bird's clan pact. Clans control enough of VC's trade economy that sanctions might be effective. My concern there, though, is that its a seemingly weak punishment and may not *look* strong enough to deter potential griefers. Ryan and the mods have yet to adopt any of our suggestions posted in the forums (see /setshrine, donation perks, welcome new players, item frame grief) and I think the solution to this particular problem must be solely player-created and player-enforced. Well, let's get some discussion going on the idea Bird suggested then too, do people think VC is now at a point that a UN-style organization would be viable and not devolve to petty squabbling? From what I've seen, I think we're in a much better position now than we were three months ago. I haven't seen this kind of player interaction since v3. If set up properly with a standard set of guidelines, I think the groups that play on VC can really come together to do some great things, absolutely. As far as the griefing, I understood from someone in THP that griefing (even with /allow) is punishable on a staff level...please correct me if I am wrong on this. The stealing would be something more in line with the UN pact, but the only kicker on this is that with shops like Arcation's, it is harder to prevent sanctioned players from purchasing (unless you can /revoke player's access to said shop, and they would have to buy either black-market style, or through an alt account. I spent a reasonable amount of time discussing concepts with Ryan the other night, and I would like to propose some of these ideas to him on TS and give him time to contemplate the ideas. I think one of the most valuable resources a server can have to inducing donations are player ideas coming to fruition. Obviously we cannot make every idea a reality, but I have seen some really good ideas come across the forums in the past few months that could help improve VC, and I don't yet want to give up on seeing if we can make some of these a reality. Heck, we did see PvP eliminated in the overworld, and we are already beginning to see the firstfruits of this change (Dom, DomLover, Halb, etc). MD, I def think we are at a point where we can proceed forth with a type of UN. I think it is worth discussing, and let's hope many clan heads are in agreeance. BirdBrainf4 wrote: MD, I def think we are at a point where we can proceed forth with a type of UN. I think it is worth discussing, and let's hope many clan heads are in agreeance. Perhaps Jolly or gogyst or you yourself can get a thread started for discussing this? I'd do it, but I think the wounds are still fresh for some regarding my recent transgressions and could harm the discussion more than get it started off right.